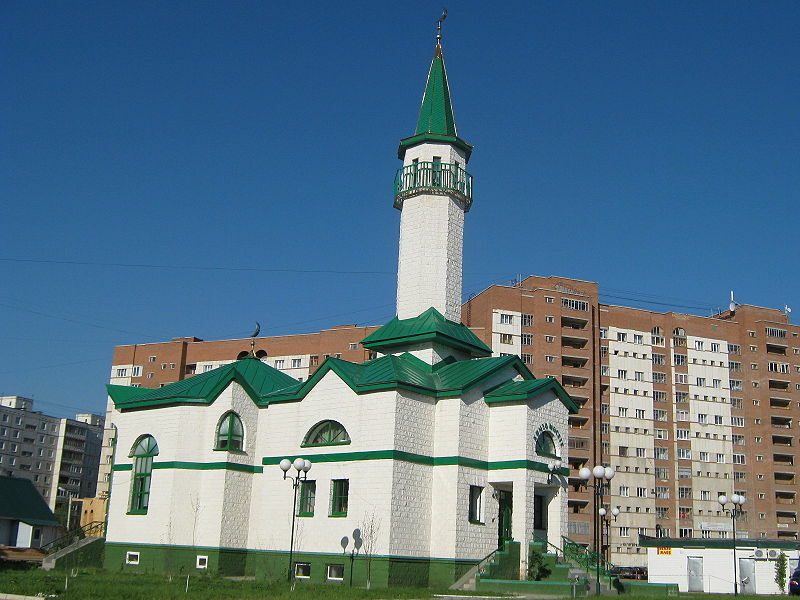 Ufa (Уфа́) is the capital of multinational sovereign Bashkortostan within the Russian Federation. The city lies approximately 60 miles West of the ancients Ural Mountain ridges. Major industrial cities such as Samara, Kazan, Yekaterinburg, Chelyabinsk, Orenburg are located in the immediate vicinity of Ufa. The capital of Bashkortostan lies upon a peninsula of sorts, occupying an elevated plateau encompassed from the three sides by the Aghidel (the Belaya), the Ufa and the Dyoma rivers. Its distance from Moscow by train is 1567 km. 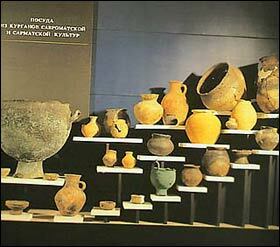 Ufa is famous for its oil, gas, minerals, and Bashkir honey. With the population of just over 1 mln people (called "ufimets"), Ufa might seem to be a serious metropolis. 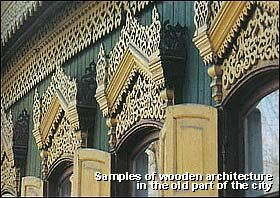 However, the lack of a great amount of modern buildings and a number of old traditional Russian houses give the impression of a somnolent town rather than what one would call a City. The climate is the same as in Yekaterinburg (also located in the Urals), that is strong continental with long, cold winters and short hot summers. The harshness of over -20C temperatures is mollified by low humidity. Last winter, it is worth noting, it was very cold with the temperatures coming to -40C at night but apparently it is unusual to get two freezing winters in a row, so winter 2004 (starting actually in November) shouldn't be that scary. The beauty of this land must have been noticed by people of the ancient past as archaeologists have discovered the remains of primitive settlements of the site of the present-day city. Following the collapse of the Kazan Khanate, Bashkiria voluntarily joined the Muscovite Russian State. To protect the land, The Bashkirs approached Tsar Ivan the Terrible with a request to construct a fortress. During the summer of 1574, a detachment of Russian streltsi (privileged military corps) laid the foundation of a fortress on the high right bank of the Aghidel river. The fortress originally called Tura- Tau called was often referred to as ‘Ufa’, most likely derived from the ancient Turkish “ufak”, meaning ‘small’. During World War II, Ufa experienced a rapid growth of population. More than 100,000 people were evacuated to Ufa from German-occupied areas of Russia. The residents of Ufa in a show of unity shared their own homes with the evacuees. 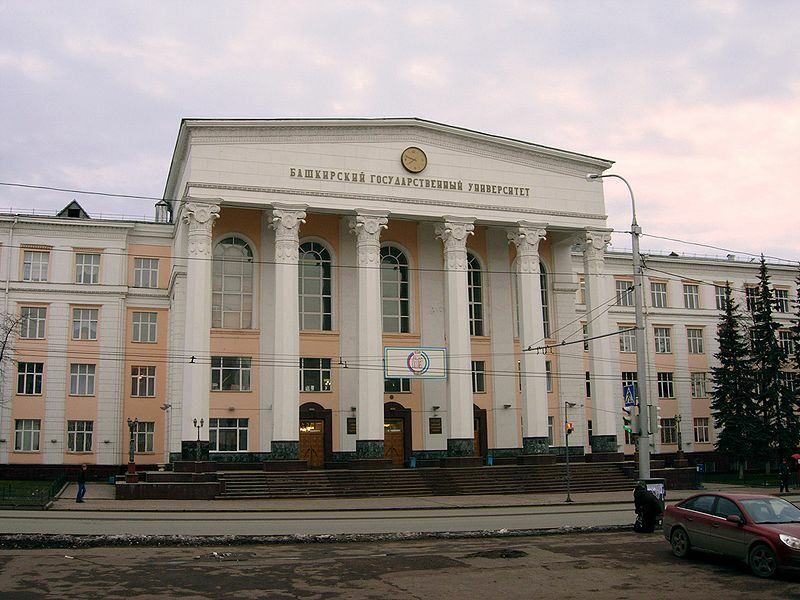 During 1941 and 1942, more than 40 industrial enterprises were relocated to Ufa. 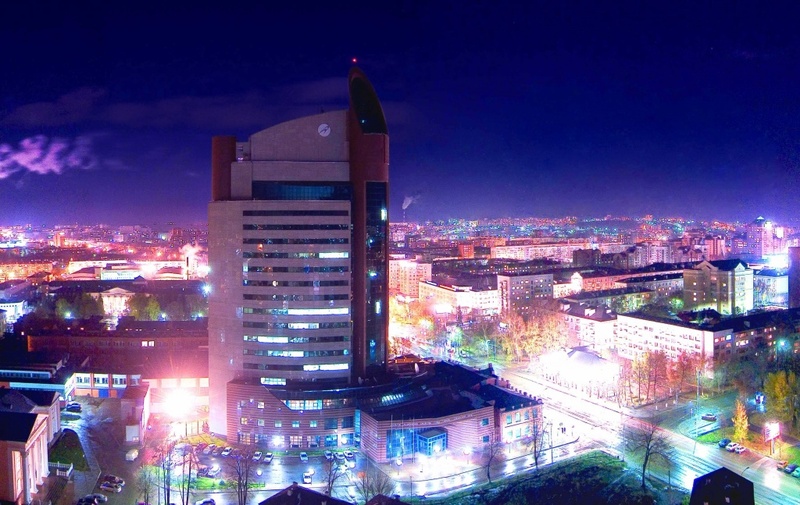 During the war years, Ufa became a major city with a multi-industrial economy. More than just serve as a home to industry, the city sent 88,952 or its sons and daughters to the Red Army. Two of the city’s most famous heroes of the Great Patriotic War (The Russian equivalent for World War II) were Alexander Matrosov and Minigali Gubidullin who used their own bodies to covered enemy embrasures. A monument has been erected in Ufa’s Victory Park as memorial to their sacrifice. Today, Ufa consists of a number of detached districts, stretching from the Southwest to the Northeast for more than 30 miles and occupying an area of approximately 180 sq. miles. There is tourist information in the hotel 'Tourist' just beside the train station, five minutes from the office but they are not very helpful. The best source of information are your students and they will be also keen on showing you around. Being a not very exciting city itself, Ufa's surroundings have a lot to offer, especially if you're heading eastwards to the Urals. Byeloretsk, As'ha and Absakovo are the most talked about ski resorts with the spectacular scenery and its flora and fauna as if from a fairy tale. 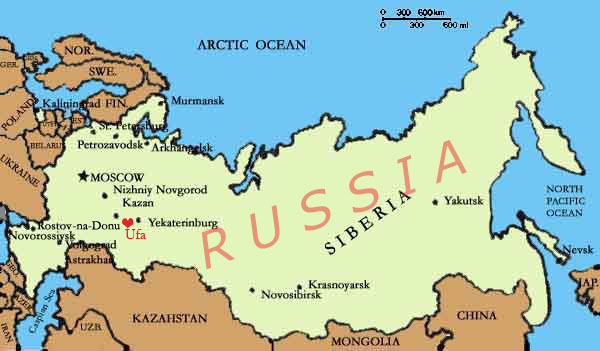 This is where one learns that the name 'Russian Switzerland' is fully deserved. South from the city the area is flatter but still beautiful with crystal clear air and silver birch forests. There are also two caves in the vicinity and even if you're not a great fan of closed spaces, this place is definitely worth a visit. Getting around couldn't be easier with frequent and efficient marshrutkas and the whole network of trams and trolleybuses (not very recommended in winter and summer). Taxi companies are also quite efficient and reliable (the phone number of the most popular one: 900-900). You can also try hailing any vehicle from a street (not very recommended if you're a single foreigner with no Russian). Ufa is a city of culture. 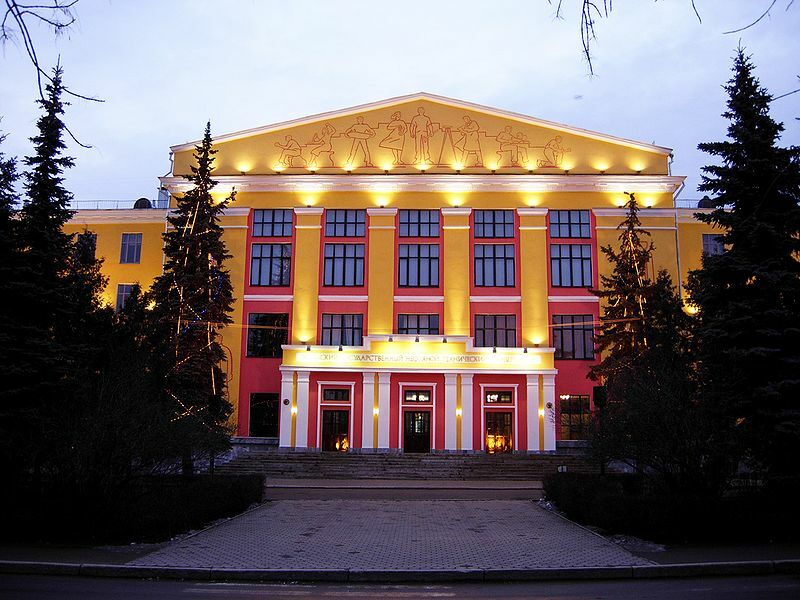 In 1938, the city opened the Bashkir State Opera and Ballet House. Its repertoire of performances includes classical works by Tchaikovsky, Verdi, Gounod and Bizet. The opera house is by all means worth visiting (dressing up for a night out in the opera / theater is a must so don't even think of visiting the place in your shabby jeans!). 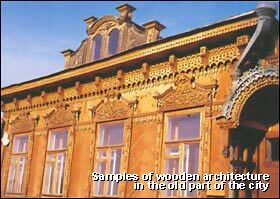 Other historical buildings include the M. V. Nesterov State Art Gallery (found in the old city), the Museum of Archeology and Ethnography and the Museum of Local History and Lore. Even if you are not deeply impressed by this form of entertainment, you should give it a go just out of curiosity: watching the locals is a pleasure in itself. There are also Russian, Tatar (currently under construction) and Bashkir drama theaters (watch the language barrier though) and the so-called 'Palaces of culture' hosting western bands and performances as well as Moscow artists e.g. the famous Viktyuk's Theatre Company with his unforgettable version of 'Master and Margarita'. There are 5 cinemas showing only American blockbusters but if you don't speak Russian, forget about this form of entertainment: all films are dubbed. There is also a circus for less demanding fun seekers. The selection of food available here in Bashkiria will satisfy even most choosy diners. 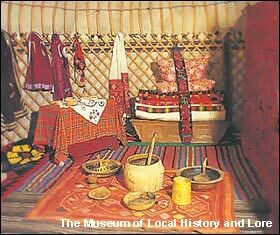 Apart from traditional Russian dishes one should also go for Bashkir, Tatar, Uzbek, Armenian ones. Chinese restaurants are also present. There is a strong Turkish community here, thus the city is dotted with Turk-owned bistros serving excellent coffee. Fortunately Baskin' Robbins with western prices is the only trace of western food culture. If one is not particularly fussy about the surroundings of food consumption, why not give it a go with one of the numerous canteens (stolovaya). A two-course dinner with selection of salads and a tea (if you're going for a healthy option, you should shout loudly that you don't want any sugar in your tea and you should also forget about the milk) costs about $1 - $1.50. Another unquestionable advantage of stolovayas is self-service, a life jacket for non-Russian speakers. You’ll find a lot of gyms all over the city (attention! strict dress code applies: make sure no one misses labels on your sport attire). You can also go skiing or skating (hiring the equipment is possible) and your students will be happy to keep your company. You arrive in Moscow where you should be met and greeted by an English speaking LL representative holding a letter of accreditation from the LL Head Office. Then you'll be looked after till your plane departures. You'll be probably getting the 1.25 a.m. Aeroflot flight (at the moment of speaking BAL is suffering from a really bad mouthing, thus it is not recommended). Ufa is two hrs ahead of Moscow, the flight lasts also 2 hours so you will be arriving in Ufa at about 5.30 a.m. local time. You should be met by the School's representative and taken to your accommodation. N.B. Please be sure to place 'Ufa' in the space allotted for 'Preferred Posting (first choice)'.